Having social networks nowadays is practically obligatory for those who want to succeed in their business and especially for you that owns an online store. But you fool yourself who thinks of having only social networks and posting something from time to time, or doing some advertising of your business. For you to succeed in social networks and consequently sales in your e-commerce, it is necessary to have many fans or followers, but how to get so many fans? How do you make people fall in love with what you have to offer? It is very common to see some stores on social networks, especially on Instagram which is the fastest growing social network, with fans desperate to buy products that are published daily. This post will help you by presenting 5 essential tips on how you can attract more fans and make them fall in love with what you have to offer on your Instagram and online store. But first, think of something that is very important, that is, we usually follow someone or some authority when we are trying to extract something from it, right? for example: knowledge. What are you providing to your followers? What do you do to attract more and more fans? Think of this benefit and keep that idea clear in your mind. 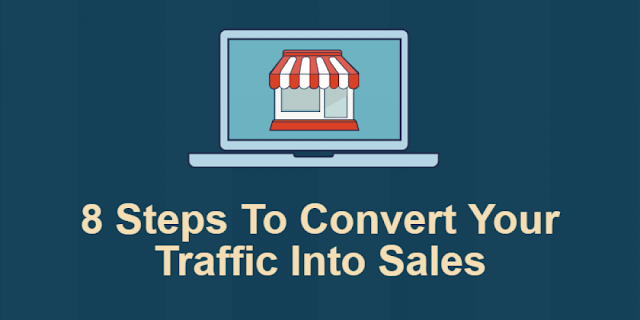 Many online stores post several photos during the day thinking this is what will make sales happen. WATCH OUT! Before posting all the time, do some testing, try to figure out the best time for posts, slow down the flow to a couple of posts a day, and see what happens. With the greater flow of publications, it becomes difficult for your followers to follow you, and you end up losing these people's engagement. Not to mention that it is very uncomfortable opening your Instagram or Facebook and seeing millions of advertisements one below the other. Our tip is to post something you want to sell, and for another time, build something of interest to your followers, some content for example. Instagram is a totally visual social network, so it will be necessary to work hard on the quality of the photos or videos posted. As an e-commerce owner, you will have to "enchant" your customers! And how to achieve this? You can start by presenting great quality photos of what you want to offer. Escape the obvious, avoid taking pictures of your product with the white background. Try to give a good stylized in the pictures, for example: if you sell clothes, try taking your model for outdoor photography, parks, or even in the urban environment! The photos will be different, but do not forget to call attention to what you want to appear. People love to buy, but they hate to sell them anything! That's fact, my friend! Faced with this, it is clear that if you are a boring salesman, you will eventually remove people from your profile. People like authorities on some subject, they like to follow people who show themselves to be influential or opinion-makers, not boring sellers on their feet. As explained in Tip 2, it's interesting that you do not just post sales content photos, that's the Instagram standard, all virtual stores do just that. But you can stand out in the middle of this whole pamphlet. Publish useful content, think about your audience and the people you want to attract. Publish your own content or make partners who are able to publish informative content that will differentiate you even more from your competitors. They will also catch the attention of new people to follow your profile. Customize your profile on Instagram, just like you do in your online store. Invest in a good quality photo in your profile where people will look at it and associate it with your brand. People are motivated by looks, so they will give more credibility to a profile that is quite complete. Fill in the biography with all the information you have that are very relevant, such as: whatssap number, telephone, email, if it is sent to all Brazil, payment conditions and address if possible. The more personalized your profile, the more tranquility people will have in following your brand and buying from your store. The correct use of hashtags is very important for you to reach your target audience. Ideally, you should look for the audience of your interest and observe which hashtags they are using, from there, you select the most cited ones and insert in the description of the photos of the products you will post. Author Bio: Sarah Feldman is a Marketing Manager and is currently working with Digital Express, a Social Media Agency in Dubai. She loves to learn and share about latest digital marketing updates and trends. 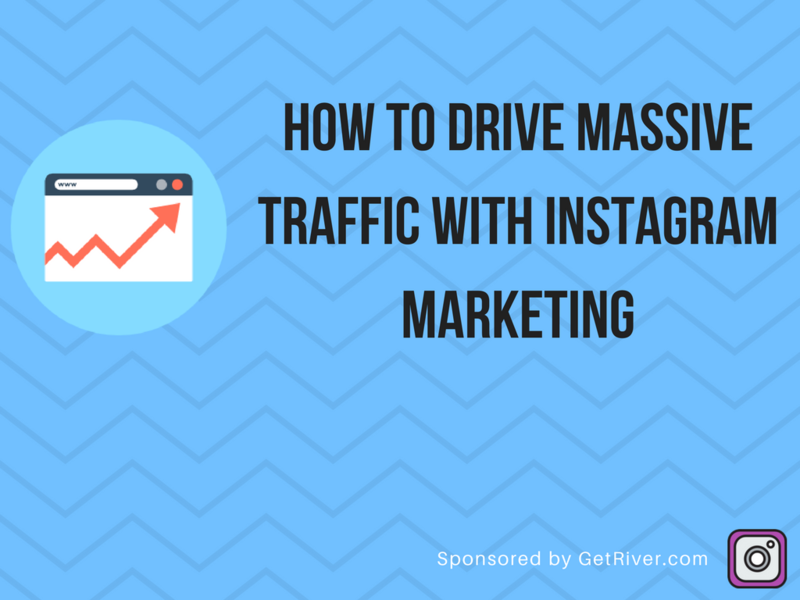 If you want to get traffic to your website from Instagram, you have to start by building your Instagram following and spike your engagement. Amfas Tech has partnered with GetRiver to just do that. Head over to GetRiver.Com and start your 7-day unrestricted free trial. Instagram seems to be a relaxed social media network to share cool photos and videos. With the introduction of stories, it brought in another feature to showcase your work in a new way. Beside those image sharing capabilities, Instagram holds an amazing potential to bring traffic to your website. Your profile is your home on the social media channels. It shows who you are. A neatly maintained profile shows your authority and credibility. Proper username: Choose a username that best describes you or your business. It should be brandable, memorable and shareable. Also make sure it is compatible with your other social media handles. The best policy is to have a common username across all the social media. Website link in the bio: Being an image sharing platform Instagram doesn’t allow sharing of links everywhere. The only place you can put a link is in the bio. Never make the mistake of keeping a bio without a website URL. Proper utilization of bio: Bio is the place where you can introduce yourself to your audience. A proper Instagram bio tells how you can help the readers and includes a call to action and/or an irresistible offer. Without a proper strategy and goals all the efforts, energy and money will be spent without any focus towards any specific outcome. The worst part is you won’t be able to measure your success. Set a time frame: A specific timeframe will keep you in check and you will be able to finish your tasks. Goals without a timeframe never get completed. Set goals about Followers & Reach: Your ultimate target is to increase your followers & reach and convert that traffic into website visits. Start with small achievable goals and expand from them. Analysis: Instagram business account gives you access to analytics. Take advantage of it and keep a track on your growth rate and followers count. Influencers already have a huge follower number. It would be a wise move to collaborate with them. They are credible and trustable. Use proper call to action when leveraging influencers as you wouldn’t want to waste a valuable chance to convert the incoming traffic as into your own. Instagram is all about hashtags. It is the soul of this platform. Using proper brandable & unique hashtags strategically will help others to discover your content. Find some popular hashtags and mix them with your brand hashtags to tag them with your content. Your goal is to help your ideal followers to find your content through hashtags. Never make the mistake of hashtag abuse. More hashtags doesn’t mean more discoverability. It looks like spam. Instagram provided a new opportunity to publishers to promote their content through ads. With sponsored posts you get the ability to reach more audience irrespective of your follower count. You can target audience based on interest, demographics, age and other parameters. With a proper d strategy you can maximize your web traffic. What’s the point of sharing all the images from other social media profiles to Instagram. Why would anyone want to look at the same images everywhere. Give some effort to create exclusive Instagram image only. This will keep your followers refreshed. An inactive profile looks dull and is a major factor why visitors won’t follow your. The more you engage with others, more you are seen as valuable & reliable. If you don’t have time to engage with other accounts, experts at GetRiver.com can help by engaging on your behalf. The Manage Package is the best one they offer, it can engage you with around 40k new people every month. Once properly set up, you do not have to anything and River will perform actions on your behalf 24/7. Reply and answer as soon as possible whenever someone comments on your posts. Not only that but you have to interact with the content of other Instagrammers on their posts. This activity increases your exposure to other audience and builds your authority. Each social media has its own benefits. Advantage of Instagram is it allows you to build your brand. 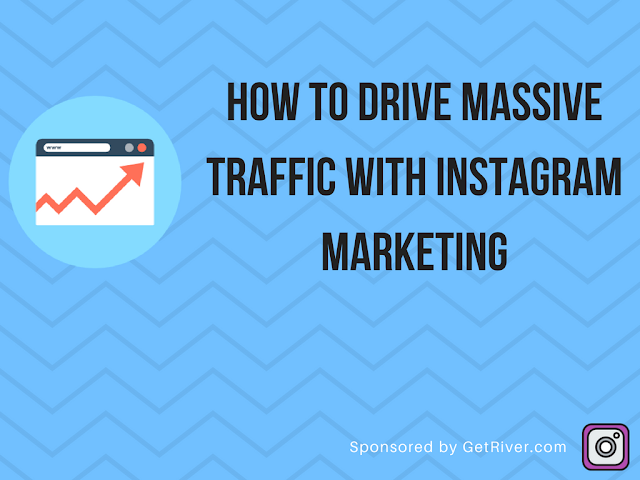 It’s true that driving traffic from Instagram is tougher than other social media platforms but with proper planning it is possible to drive traffic to your website.